We hope you had a fantastic Thanksgiving last week (for those of you in the US; I know we’ve got followers from all over the world!). It may be a bit belated, but we’d like to mention some of the bloggers and business owners we’re thankful for, because they’re helping spread the word about our book to other small business owners! SCTimes highlighted Saint Cloud-based Adventure Advertising in this post. 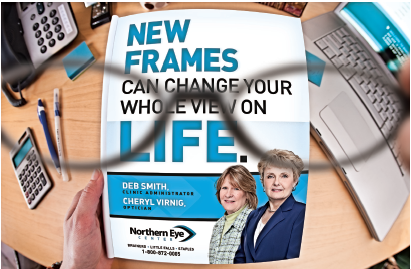 Adventure Advertising was the agency behind Northern Eye Center’s website, which was featured in our book. David Langton was interviewed about the eye center’s use of an “ad within an ad” concept, which we think is pretty darn neat. Having shown this to both a business owner and a graphic designer, I was surprised how both saw benefits in the book, but from different points-of-view. In fact, I had to beg for the book back from the business owner, so I knew it had to be a keeper! It’s important to us that designers see the value in the examples we provide, but also that small business owners get advice from the case studies in the book as well! And we were so pleased that Anne Fisher over at Crain’s New York Business highlighted our contributor Help Remedies (whose products, by the way, we just spotted in Walgreens!). 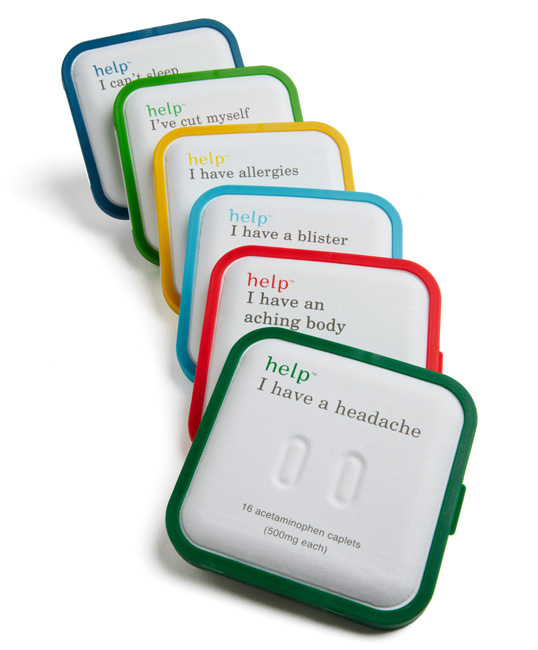 I think Help Remedies’ minimalist design speaks to where design is headed (think: less is more), and small businesses certainly can get in on the trend. What we noticed that with each review, the blogger or reviewer picked his own favorite from our book. What’s your favorite? Over on 800CEOREAD’s blog, GGRP’s amazing direct mail phonograph was featured. If you haven’t seen the video, check it out. It’s one you won’t forget. We are humbled by the number of reviews we have had for the book, and are supremely happy that our book is resonating so well with small businesses! And we love the coverage our contributors are getting! Thanks to all of you!